Be ready for Mardi Gras with these great ideas. Make easy tissue poms and put them in glasses to decorate your tablescape. Aren’t these cookies amazing! 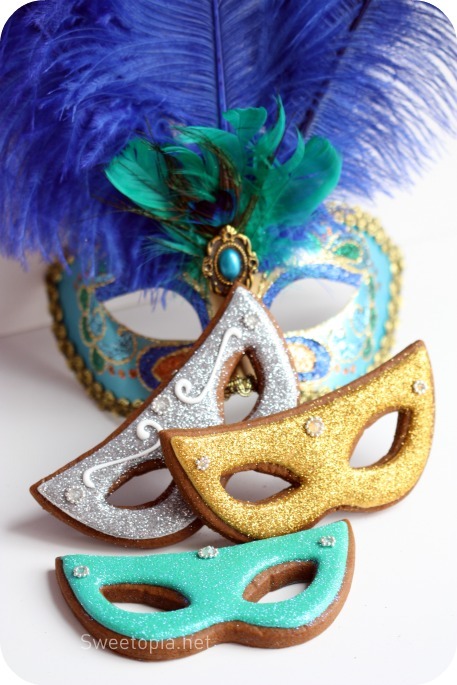 Sweetopia shares their tutorial for these gorgeous Mardi Gras mask cookies here. Don’t pass up these FREE downloadable printables from The TomKat Studio! These will definitely add a special touch to your Mardi Gras celebration!